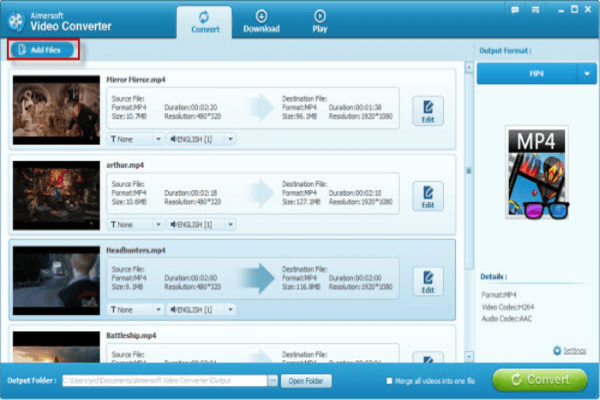 Aimersoft video converter allows users to download, edit, convert and play video files on their hard drives or online. This video conversion software has a lot to offer and is one of the best programs. One of the major things that make Aimersoft video converter stand out is that it enables users to convert files to device type and the output formats are several. For instance, if you have an iPhone, you can convert video specifically for your phone. It supports a variety of devices. Another factor that makes it the best video conversion and editing tool is its added unique features that allow the user to crop videos, add special effects and add subtitles. Aimersoft Company is known for producing high-quality software. The Aimersoft video converter is no exception and is one of our best video converter software. You will only find minimum flaws with this tool. 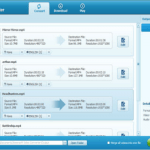 Selecting Aimersoft video converter is a great choice. 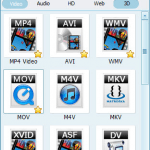 No video converter is as effective and reliable as Aimersoft video converter. This conversion tool allows converting a variety of HD and SD input formats without hassles. What’s more, it allows you to convert those downloaded or self-made videos to any video and audio formats that you want. 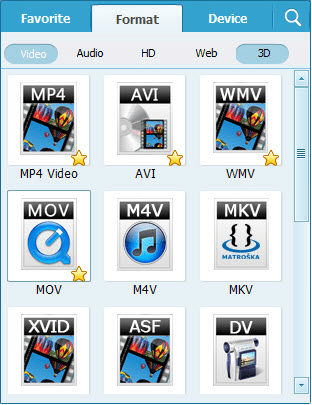 Some of the supported video input formats include MP4, AVI, MKV, WMV, MPG, 3GP, 3G2, SWF, FLV, TOD, AVCHD, MOV, DV, RM, QT, TS, MTS, M2TS, H.264 and plenty more. Supported audio files include MP3, M4A, AC3, AAC, WMA, WAV, OGG, APE, MKA, AU and more. If that is not impressive then how about its ability to let you extract audio from a video and save it in any format with no extra codecs required. Convert videos without losing their quality. You no longer have to worry about your file format not being supported by your listening or viewing device. 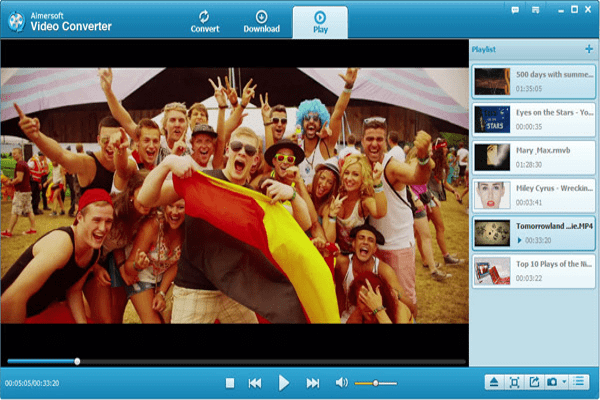 Aimersoft Video Converter has over 150 video presets for iPhone 5, 4S and 4, for iPad, iPad 2, iPad 4, iPod touch 5, Apple TV, PSP, PS3, Blackberry, Xbox 360, etc. This video conversion software will convert your video to the required size and formats for your device and other media players. With it, your worries of ‘file not support’ are a thing of the past. Another reason why Aimersoft Video Converter is a great choice is that it doubles up as an editing app. You can adjust the size of a video and trim away footage that you do not want. Also, you can crop the frame, rotate the video adjust picture features such as the contrast, saturation, and brightness. Aimersoft video converter also has a library that enables you to incorporate fun filters, add watermarks, images or texts and other stuff into your video before you finally convert it. This tool makes video customization fun and enjoyable. In case you have any difficulties using Aimersoft Video Converter, you can consult the tutorials and FAQs on the software’s website. Alternatively, contact the support team via email. Perhaps, one thing lacking that the software company should include is a live chat room for those who require immediate assistance. The company has social media accounts but rarely respond to technical and customer supports queries on those platforms. The list of input and output files provided by Aimersoft Video Converter are several making it a solid choice for a video converter tool. Very few best video converters are ranked above this software. 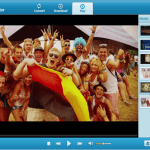 Its feature to allow a user convert multiple videos simultaneously gives it an edge.